Software from property people for property people. With over 50 offices throughout the UK, we are the premium provider of national property inventories, check-ins and check-outs, protecting residentially and commercially owned properties, serving letting agents, property management companies, private and commercial landlords. We are a well-established, property inventorymanagement company, founded in 2002. With over 50 regional offices UK wide, we are the leading national inventory management brand with national contracts with many of the UK's leading Letting Agencies. Recognised as the industry leader we are only using the most advanced online inventory management system. 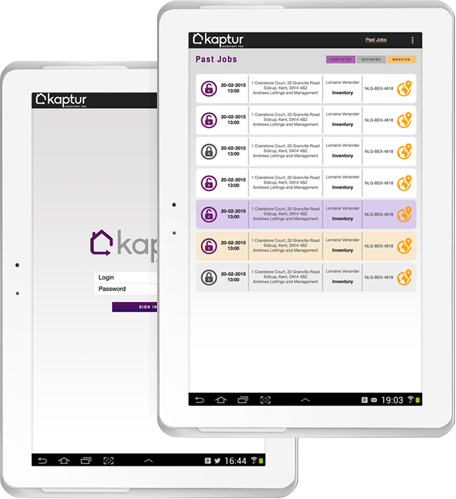 All our franchisees and employed clerks use Kaptur day to day, which makes it a user base of over 300 table users.